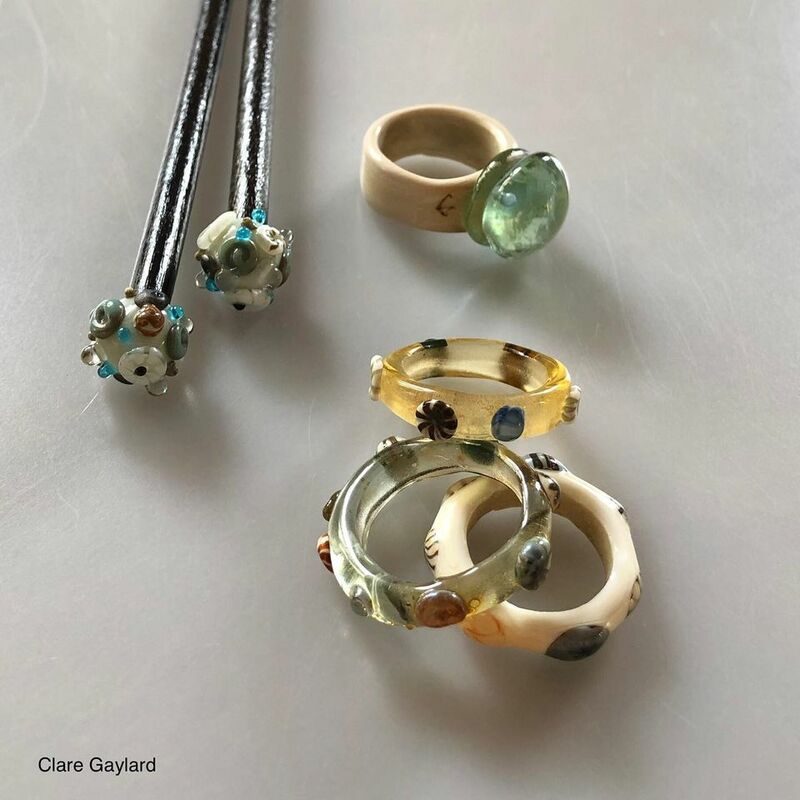 Lampwork Glass, Jewellery and Wearable Art, created by me: Clare Gaylard in my Suffolk studio. These Autumnal Things arrived when I was at the torch a week or so ago and refused to fit in to my gold leaf agenda. This is what walking (very slowly due to three-legged dog) through wet leaves and looking at berries and dried seed pods does to a person. This person.